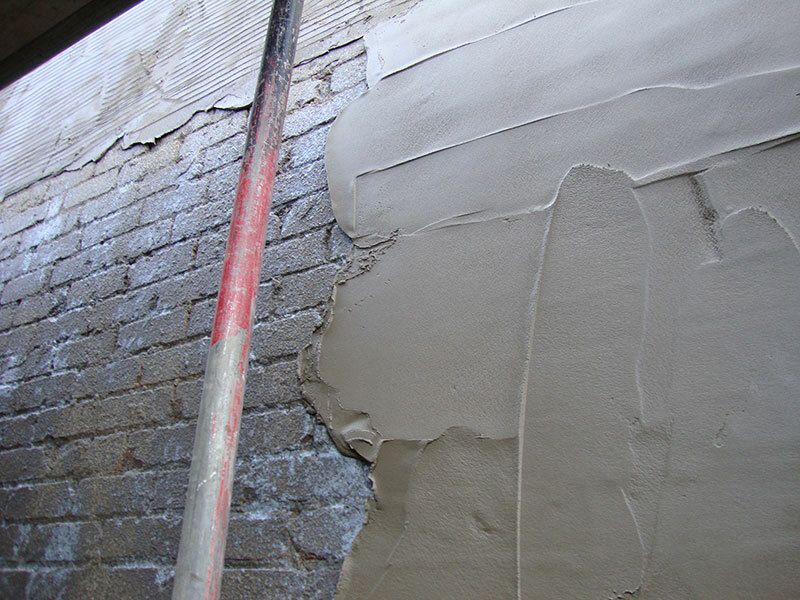 10mm of sand and cement is usually applied to block work/existing brickwork after a new Damp Proof Course has been installed or a backing to receive ceramic tiling. All corners and junctions are protected with beads. 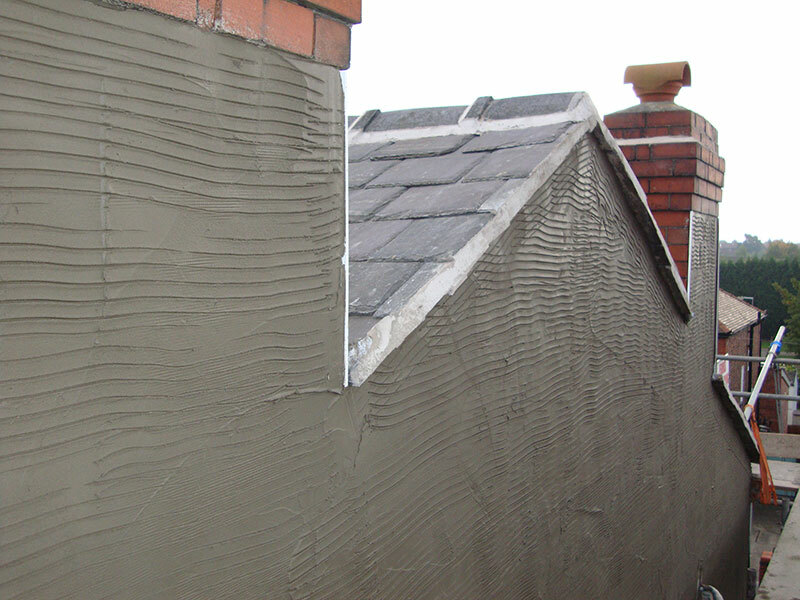 External render using sand and cement is carried out with an undercoat (scratch coat), and a top coat which can be finished in a variety of textures and styles. 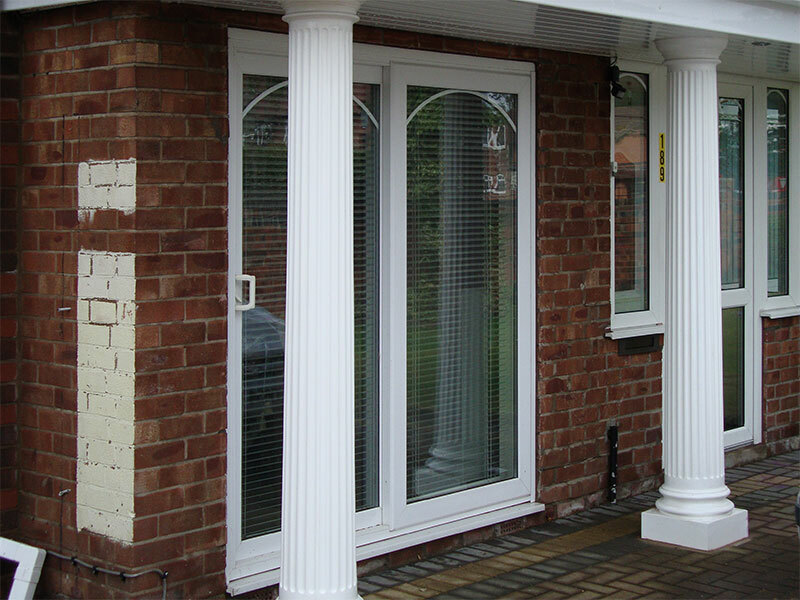 Decorative features can also be included. The ration of the sand/cement mix and the inclusion of lime or other chemical additives such as – plasticiser, water proofer and SBR will be selected according to the specific requirements of the project. 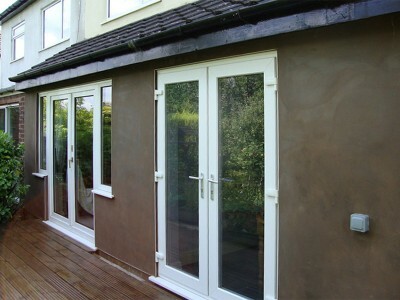 To maintain mix design quality we can apply pre-mixed bagged render. 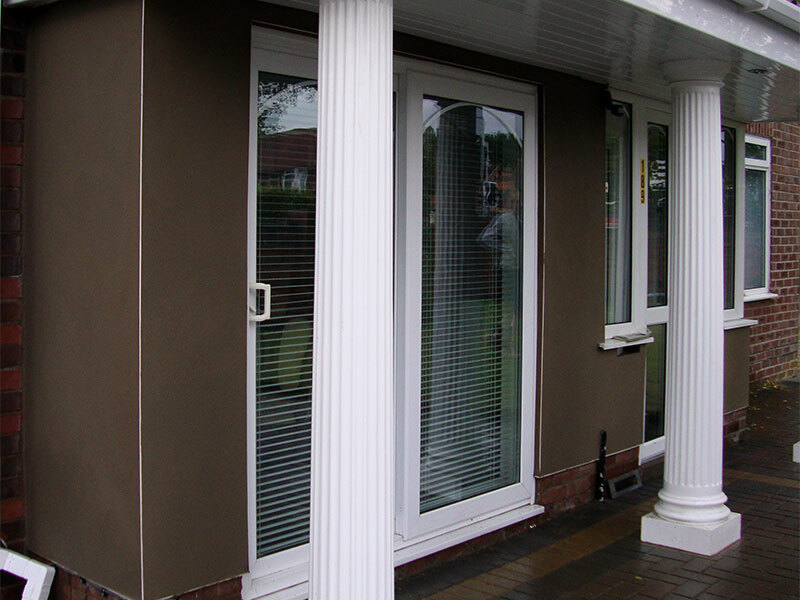 These renders form an attractive range of one coat applications plastered directly onto block work. They can also be used as a finish in conjunction with a base coat. To achieve the required finish, float to a level surface then scrape the complete surface evenly with a scraping tool when the render is set but not hard, removing 2mm to produce a uniform texture.